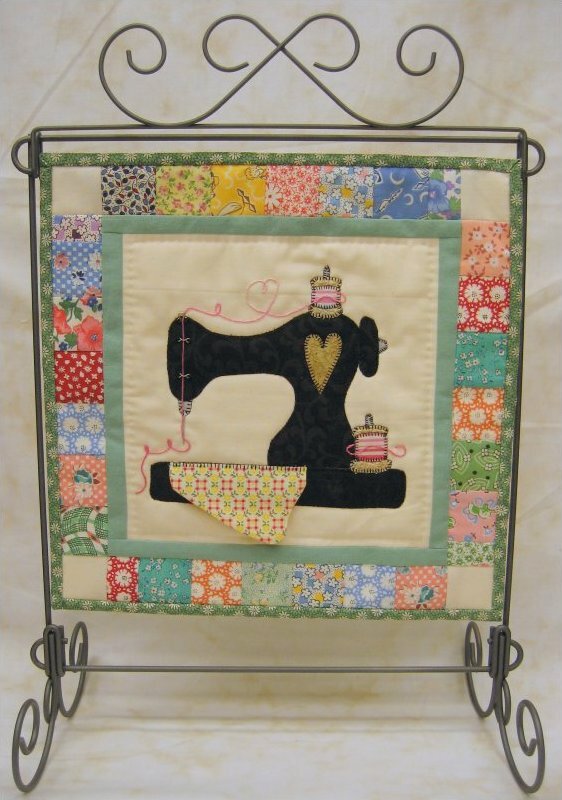 Perfect for your sewing room or display with your antique machine. Fits the 12" stand. Kits have assorted 30's prints for pieced border and includes pattern.